Everything about Tennessee’s search for a new head coach has been a disaster up to this point, and on Friday, it cost AD John Currie his job. The latest target in the search was Washington State coach Mike Leach, but the Vols have yet to sign him to a deal. 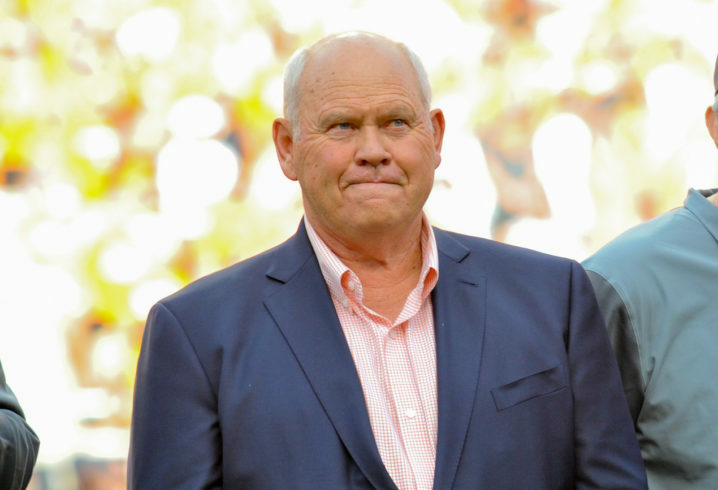 Fulmer wanted to be the Vols’ next athletic director when they hired Currie instead, so it is possible he is angling to land that job now that Currie has been fired. So, for those keeping score at home, Tennessee now has no football coach, no athletic director, and a former coach who may be working behind the scenes to land the AD job. Things are an absolute mess in Knoxville and it doesn’t look like it’ll get sorted out anytime soon. This would be terrible if true. Phil does have a history though. This is old hat to Phat Phil. His long knives probably helped Currie out the door. If I was a leg humper fan like you Mountain Dog, I’d be worried about Coach Fulmer coming back to UT also. Because he MIGHT hire a good coach? I’m not exactly sure what there is to be worried about. Idiot…Fulmer stabbed Majors in the back to get the HC job. WOW! the volunteers go 0-8 in conference and this idiot wants to call out Georgia who just waxed the entire division. Good luck with your AD and coaching search, not that it matters for the foreseeable future. One day someone is going to do a documentary on everything that transpired in the SEC this past week, and it is going to be entertaining. If it does happen, it would probably be the best 30 for 30 doc I would see. Tennessee’s drama by itself is an entire 30 for 30 movie. …right after all the lawsuits are completed. Great idea. What should the documentary be called? “Rocky Bottom”? “Can’t Find It With a Funnel”? Ideas, please. 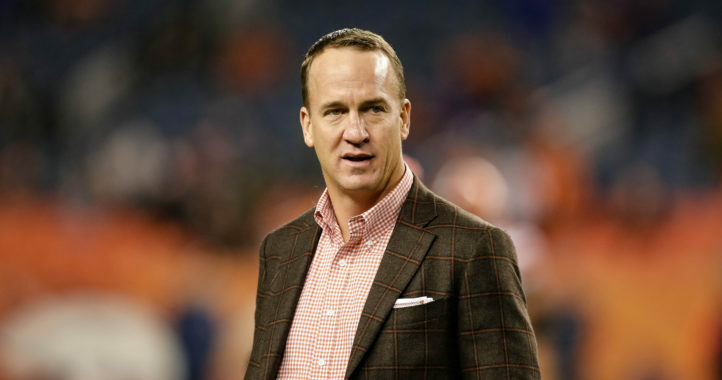 What if I told you Grumors don’t always come true? More like 30 FOR 30 coaches have rejected the position. That’s whats up! I knew my guy Fulmer had our backs! Lol at you thinking this is a good thing. Fulmer is only looking out for himself. Actually, that isn’t true. Fulmer loves, lives and breathes Tennessee. This whole process has been a horrible, embarassing mess for 10 years. This seems like “Fulmer’s Revenge” since Currie was part of firing him. While things soured at the end of his coaching, Fulmer still has love/support of the fanbase, so he can help calm it down right now. I’ve long felt UT Men needed to retake the university leadership. Currie just found out that UT is not Kansas State, and this botch job will follow him for a while. Phil Fulmer is a scumbag. He only cares about himself. Go ask Johnny Majors. Fulmer is the reason TN football fell behind the rest of the SEC. Fulmer’s career is based on beating the (then) weaker half of the SEC and losing the same two or three games every year. Then, going to the Who Care Bowl and losing that. If the new TN coach has to be Fulmer lackey then TN football is now officially Kentucky football and never coming back. Thanks to scumbag Fulmer. Better yet, ask his players who love the man. Jocko, stop insulting the intelligence of those who know better. The man is in the top 10 in SEC wins. You can’t do a troll spin on that. LOL at you for not knowing what the F*** you’re talking about. Learn a thing or 2 before you open your mouth next time. You have no idea what has been going on behind the scenes. Fulmer is the face of a group of boosters who want to take control away from the Haslams. Currie is the face of the Haslam camp. So Currie vs Fulmer is actually the Haslams vs Other Boosters. Sounds like some serious Hillbilly S**t! Tigrito wins the day with that comment. Tigrito, Oh man, that was very, very funny! If Fulmer ever sees your back, you’ll probably have a knife in it. I love both coaches, and glad to have both involved with UT, I know they love UT too. Big UT reboot going on. Wow. This is how Tennessee handles their business? I’m glad you feel good about this. It looks bad to everyone else. Even recruits. Clausen I’m Very happy to have Coach Fulmer at the helm. Long term is a helluva lot more than short term. Be careful what you wish for. Vince Dooley as our AD was not a good experience. It gave us Ray Goff and Jim Donnan. He seemed to hire coaches that protected his legacy instead of elevating the program. Wasn’t expecting to have a great recruiting class in a coaching change year. If we can get a Top 25 class I will consider it a success. Once a coach is hired, this will all be old news…. Do not care how it looks to everyone else. Today is a good day for Tennessee. Agree! Also it’s going to be exciting next year when we are underdogs to all these SEC teams and we start pulling off some upsets. Who is going to get beat first by the dumpster fire of TN. Hmm…Stay tuned! 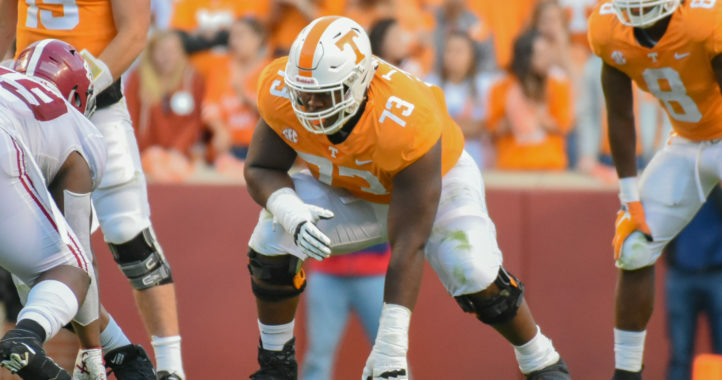 Since Fulmer was an OL when he played and since he knows the Mays family, as the new AD he might be able to convince 5-Star Cade Mays to reconsider. Honesty, morals and decency are not qualities Tennessee looks for. Clausen that describes Coach Fulmer to a T. I love this move. Purge the admin of the garbage. Thanks for that perspective, Double-O. Do you have any links to said Vol’s local boards? I’d love to have info from better sources than clickbait writers and people who are too emotionally invested in things to have an objective view. I look at Vols247. Wes and Ryan seem to give good info. It’s just tough to believe Fulmer doing dirty stuff behind the scenes is a good thing. This is just starting to get interesting. I’m sure Currie is going to get his story out. The real ugliness may be about to start. If Coach Fulmer did? I applaud him immensely. The problem at UT for a very long time has been the admin. Bad decision after bad decision. Thank you coach Fulmer and I hope they make you full time AD. You are correct. UT has had some serious issues at the top for some time. I’ve told others that I have to wonder if someone there had an interest in keeping UT athletics (esp. football) down. But in any case, top leadership has done some things the last 10 years that don’t seem right for folks who are supposed to have the best interests of UT at heart. You bet he is. I love it. I’m glad I have plenty of popcorn for this on-going dumpster fire at TN! It has been intriguing to say the least! I do miss Butch, though. Way to go Vols! Better make a run to the concession stand now because this thing is far from over! After Currie wanted to hire Schiano, of course he is “Sabotaging” the search. I heard this all week! Currie had no idea what he was doing and Phill wanted to take over. Obviously this wasn’t a secret. Good for Phill, now go get us a coach!! If Fulmer had been made the AD before Dave Hart was hired (much less Currie), we wouldn’t have this mess. I’m tickled at the idea of him being our new AD. He loves the university as much as any of us! Let’s see after more than a decade of horrendous coaching decisions and horrendous athletic directors UT finally gets a new AD in and fires the 4th pitiful coach in more than a decade. Then in a career defining move decides to hire another butch jones. Then .01% of the fan base go apesh$t and a handful of politicians chime in and Currie holds up like a cheap lawn chair. Then he starts calling on all the coaches he should have started with in the first place. Oh I forgot to add the rock also protested the hire. So Currie loses all credibility with the other coaches but Davenport thinks it’s a good idea to let him fly around the world and just make offers until someone accepts. Finally and waaay too late Davenport realizes things are slightly out of control and fires Currie. Now the fulmer conspiracy takes root. It actually makes the keystone cops look like seal team 6. And it’s the fans fault…riiiight. If I was in charge of this coaching search, I would seriously consider under paying Les Miles to be the HC and over paying Tee to be the OC and coach in waiting. For good measure, consider Chief as the DC. There you go. The only bowl Tennessee is going to is the toilet bowl. They are already there. They’re just hoping the next coach who sits down and takes a dump on them doesn’t flush. You have an excellent grasp of the obvious. Hate to break it to UT fans but Leach was the best hire you were going to get. Now that’s been sabotaged by an ex-coach hoping to become the new AD. How could UT hire him knowing what he’s pulling behind the scene? Congrats, you got Currie out and now missed out on an offensive genius. Good luck when you hire some random OC from a .500 team as your new HC. Now now I think u r just mad because he outed you guys a few years back. If u just make sure those envelopes of cash to coaches steering recruits don’t pop open at the FedEx sorting facility you would never have had a problem with ole Phil. Currie was part of the crew that cost Fulmer his job. Dont blame the guy. I really dont think much sabotage was needed the way Currie had things going.Karma has a way of coming back around. Wonder if Currie got a million and free tickets to an UT event? I am seriously in the wrong line of work. Screw up that bad, get fired, and still make out like a bandit. AD/HC? Might as well jump with both feet after assassinating your competition, right Phil?